Hi Lovelies! 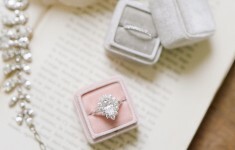 You’re in for a treat today because we’re talking about some beautiful new trends in the wedding world which we are loving and have a pretty moodboard design to show you how we’d work them too! 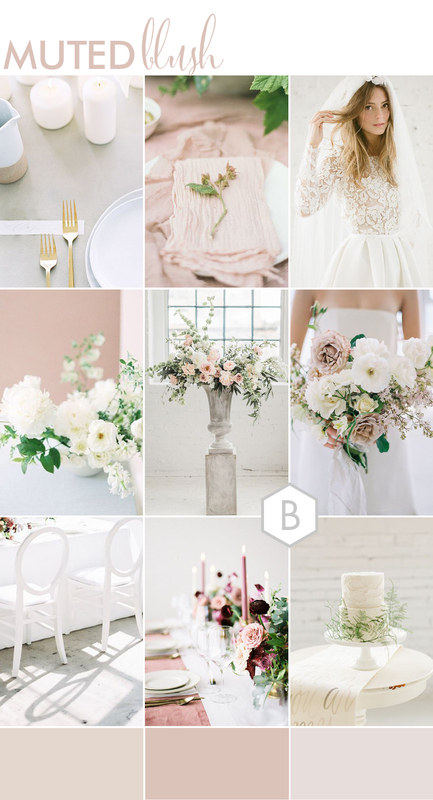 So the trends we are looking at today include the minimalist wedding look, the muted colour tones, and also a focus on artistic floral design! You’ll have seen this really growing in popularity where less is very much more, and this can relate to the table decor, the venue setting or even the bride’s style. It’s typically been more for the chic industrial luxe wedding style but it’s magical how you can mesh this into other style and even combine it altogether! 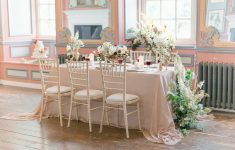 Think bohemian vibes but more understated with a minimalist edge – or you’ll find our moodboard today mixes utterly beautiful romantic wedding ideas with it too! We don’t often think pretty when we consider minimalist style – but it really can be! How to work it: Using a pretty colour palette will instantly infuse feminism beauty into the minimal scheme, but keep the colour palette to just a few tones to keep that simple chic edge. Working with neutrals is also important and this in itself can create the most elegant wedding style, so you look at this combo too. It’s fantastic to work with neutrals for to achieve this look and here, we have main colours of white and grey so the muted blush hues are a subtle statement and have just the right impact. The next trick is to compliment your chosen muted tone. We have some flourishes of green foliage in our concept, but in the main we’ve included some colours which work really well with blush pink – peach and deeper purple pink hues which also needed to be more muted shades. 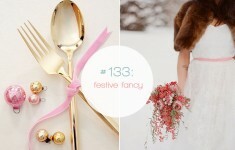 A way I really love to see this trend is using beige with muted peach, salmon and yellow tones. There’s something about this colour mixture which looks kind of organic and I’m sure this will be big for Autumn weddings too. Have you noticed how the shape of the wedding bouquet has changed? And the shape of the floral centrepiece? We are completely smitten with these more whimsical designs and the huge blooms with ruffled petals which spring out on longer stems. There are heaps of incredible Floral Designers who are getting so creative with their centrepieces creations just like these by Corcortez Floral,in our Tokyo Dawn feature by Rae Tashman Photography.